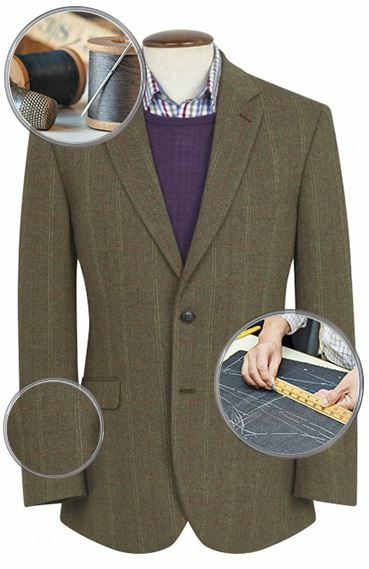 Excellent jacket - wonderful quality - wonderful tailoring. Brilliant service. Bought for my husband who now looks so smart and is a very happy bunny. We will be back. First class service from ordering to delivery. I especially valued the timed delivery slot sent from the carrier by text. Item beautifully packaged . The jacket is excellent and fits perfectly (40 long). 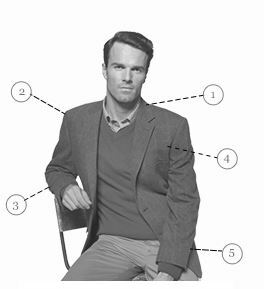 This is a jacket to wear while travelling - unlike most light-coloured jackets currently available, it will not crease (unlike cotton / linen ones). This is polyester and linen but has the look of linen. Very well made and highly recommended. Your products are just too magnificent. A great service, just wish there were more 52L jackets. First time I have used this site. Very pleased with the lightweight suit for my husband. I requested a replacement for the trousers as they were too small. These were replaced very quickly and are perfect. I am very pleased with the quality and fit of this jacket, an absolute bargain for the price. I will definitely be buying more products from this company. I was initially hesitant about buying clothes online especially suits but after my first experience with Brook, I realised this was different - the products are of hgh standard and customer service is excellent. Very nice suit - good fit, nice quality and look good without creasing. I was kept informed all the way through the buying and delivery process and the suit feels so comfortable and lovely quality. Brook Taverner have supplied me with (a) a very well-fitting, crinkle free suit and (b) some very good looking, well made shirts. All have been delivered promptly and have been at a very acceptable price. I was a bit worried when I ordered the suit re the fit and the shade, and was a bit disappointed when I discovered I had to wait for the jacket. However it arrived sooner than expected, fitted well, and was complemented by friends when I wore it. I will be ordering again. Suits are fantastic quality and great prices but apart from that they have the best customer service that I have ever dealt with. ....with my suit recently purchased from Brook Taverner. Easy to navigate website, very decent price, excellent customer support, quick delivery and the suit fits a treat. Lovely jubbly! The suit I ordered fitted perfectly, was delivered on time everything was perfect nothing could be faulted. efficient to deal with Brook Taverner direct. Excellent service and replacement of items. I returned two suits because I had ordered the wrong size. Swiftly dealt with and put right with ease and simplicity at no extra cost. Clothes arrived promptly and fitted perfectly. Quality is very good. Third suit from Brooke-Tavener. Looks good and fits well. Delivery service faultless. Don't think you can beat the service!! As somebody who frequently shops online, I cannot think of another retailer who gives such prompt, first class service. I purchased an overcoat some 25 years ago from a store in Birmingham, that too is a Brook-Taverner -I still wear it today and it still looks like new!! 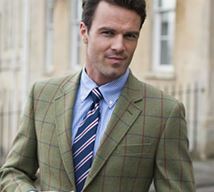 I have always found Brook Taverner items to be excellent both in terms of construction and fit. I now am the proud possessor of two suits and numerous casual trousers and shirts. Very happy with them all. The suit was delivered on time with a good hanger for the coat and the trousers plus a nice suit bag to keep them both in. It was delivered on time in a good stong box. Best of all it fitted perfect and looked as good as the photo's what more can one say exept thank you. Made a mistake ordering a size too large. 3 days! ! All changed and happy.Great response. Polite service, fast dispatch all my husband's clothing a good fit and superb quality! Ordered mid day deleivered 9.30am the next day.Perfect fit for measurement given. suit fits well although colour not quite as expected. Doesn't matter though it looks the part. I have never been let down in dealing with Brook Taverner, either by their products or their service. Been shopping from Brook Taverner quite recently. The tailoring and fit is just excellent. It makes me stand out and puts me where I want to be and feel - on top of the world. All my purchases so far 3 suits and over half a dozen of trousers all within 4 weeks and still no regrets. Thank you. I have now received two suits from Brook Taverner and both have been well made and fitted perfectly. From the quality of construction, I know I will be wearing these suits for some time to come. In addition, their shirts are superb. I will be visiting their site again in the future. Finally I have found my style of clothing. The clothes are of a great quality and full of tradition. Very efficient and the suit looks to be all that they claim. The website and service were all very efficient. The suit they supplied looks fine. Having ordered my first suite from BT , and I must say the only firm I could find with a suite colour that didn't put me in black, dark blue or charcoal (I have all those) I sat back and waited for the suite to arrive. It did arrive, very well packed in a sturdy box. On opening I found 2 hangers and 'suite tidy' . I tried the suite on. It fitted well and the cut was very good and the workmanship excellent. I shall shop with them again. Ordered a suit for my wedding which was booked at very short notice. Suit arrived in good time and was of very good quality but the trousers were a bit small round the waist (perhaps they come up on the small side) After calling them a friend dropped off the trousers for replacement and knowing it was quite urgent Brook Taverner send out the next size up the same day first class. They arrived the next morning and are a perfect fit. If only all companies were this good to deal with. Thank you Brook Taverner for outstanding service. I think Amy dealt with this though not sure. 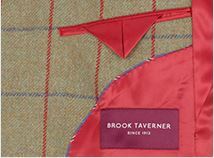 Brook Taverner do give a five star service.Excellent quality goods,brilliant delivery times and a very good after service . I have been very pleased with the items I have purchased. Have been trying to find a lightweight suit for travel that would not crease and look like a bag of washing on arrival in sunny climes! Now found one for him and he looks so good. Doesn't crease, lightweight, packs well. Your excellent quality plus excellent service means a trusted company. So glad I found you guys on t'internet. With little time for visiting shops your brilliant online service can't be faulted. A Yorkshire company with style and panache. Value for money and speed of service! This is the second time I have been asked to review my purchase. I commented that I had to have the jacket shortened by a tailor - you 38 short is rather long!!! A well tailored suit. Exactly as the picture. It fits my husband well. There was also a speedy delivery. I'm not sure about the half price review by David on the 8/5/2013, I paid full price. Purchased as a lightweight travel suit. Stylish and a good jacket fit, although the 36" waist trousers are a tight fit on my 36" waist (have had no issues with other 36" waist garments), so you might want to go up a size. The suit travelled for several days rolled up in a motorcycle pannier, and unrolled virtually crease free! ... impressive quality and usability for the price. Bought this suit to wear to a summer wedding- great service, it arrived within 2 days, and even though I had to exchange the trousers, the new ones arrived in 3 days. Excellent service, and a really nice suit - great price too! The suit duly arrived in pristine pakaging. I'm delighted with it. A perfect fit. Excellent quality and finish.Well done to both you and the carrier! This is my second Esher suit but in a different colour. It fits me perfectly, is a delight to wear especially when it is warmer (wishful thinking perhaps) and is very stylish. Delivery was very quick and the price was too tempting to ignore. Thank you Brook Taverner for yet another excellent product. Yet a again, a first rate buying experience. Pretty pleased with the suit I ordered and again impressed by the early delivery and excellent packaging. The product represented really good value too. Could nt be more satisfied .fits perfectly ,arrived within three days ,and friends say it looks good. I just cannot fault the suit i ordered. Prompt service and quality products. I e-mailed Brook Taverner on ordering the suit requesting a trouser shortening. My e-mail was answered by return and the suit arrived two days later with trousers that fitted like a dream. Brilliant! Excellent service, fit was perfect and material looks and feels good. Will certainly make purchases in the future. First delivery produced an exceptional jacket, but trousers were too shoort. I returned the trousers and asked for un-finished. With no fuss the replacements were sent almost by return. This service is normally provided by tailors more than 5x the price. Totally reliable. And yet another suit from Brook Taverner. Is there anywhere else to purchase from. Great suit, washable, fits a treat, well packed arrived in two days. I don't think I can ask for anything more. Thanks. Very comfortable lightweight suit liked it so much I bought a second. Prompt service, good looking summer suit - just need the summer now!! MY HUSBAND WAS VERY PLEASED WITH THIS SUIT. GOOD CUT AND TRAVELS WELL. Fantastic suit. I have bought many suits from here and they never disappoint. So very pleased with the quality, price and overall service received as a first time customer. Perfect fit with good shape from material. very comfortable fit - well made for the price. Excellent summer weight suit, being washable is the icing on the cake! 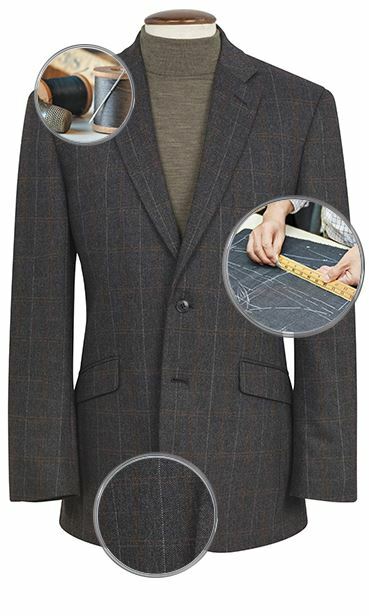 Product is a perfect fit and the quality of the material is superb, and connecting the trousers to the jacket, - a quality suit. to many bravo's is not good! A TRULY ENJOYABLE EXPERIENCE. JUST WHAT YOU WANT JUST WHAT YOU WANT TO PAY JUST WHEN YOU WANT IT. A WINNING FORMULA. And yet another suit from Brook Taverner. Is there anywhere else to purchase from. Great suit, washable, fits a treat, well packed arrived in two days. I don't think I can ask for anything more. Thanks.